We all assume that the need to post bail, is something that happens to other people. Nobody expects this type of thing to happen to them or the people they love. Unfortunately sometimes, it does happen. According to www.michigan.gov, over 260,000 people were arrested last year alone. It’s a good idea to have a decent understanding of the bail bond process, just in case. The bail bond process is the legal procedure involving the posting of bail, a certain sum of money decided by a judge, after an individual is arrested by the police. This process needs to be followed if the individual wants to stay out of jail before and during the trial for his alleged misdemeanor or felony. A judge, or sometimes the police, decides whether or not the individual is eligible for bail based on the nature and severity of the crime, as well as the risk they pose of running. Once the judge allows for the bail bond process, the individual is free to go home on posting the bail bond, provided he attends all the trial hearings. Why is bail required and how is it determined? There is a definite reason for the bail bond process in our legal system. Once an individual is arrested and booked for a crime, he has to go to jail. If the said individual assures the court that he can be depended on to attend the trial, the court may allow him to walk free until it decides on the punishment of his alleged crime. Obviously, this freedom will come with some guarantees and those guarantees are determined as a sum of money – the bail bond. The amount of bail bond is determined by the presiding judge. Though most states in America have bail bond schedules for minor to major offences, the judge has the freedom to decide any amount that he deems sufficient to allow the offender to avoid jail. As mentioned above, the bail bond may vary from individual to individual depending on the severity of the crime, the personal history of the offender, his mental condition, prior convictions, and most importantly his risk of flight. The individual can post the bond himself through money borrowed from family and friends or he can choose to go the route of a bail bond company. If the individual decides to hire a bail bond company, the bail bond company will agree to pay his bond amount to the court in full with an additional fee chargeable to the individual. This fee is for the risk that the company takes for giving him the bond amount as loan and is non-refundable. The bail bond company may also ask for a collateral that covers the loan amount. Once the case is decided, if the accused has attended all the hearings, his bail amount will be returned to him along with his collateral. In case the accused fails to appear in the court, the collateral will be forfeited by the bail bond company. Bail bonds could be of any of the following types depending on the crime and the jurisdiction of the arrest, though in some cases the court does allow the accused to walk away with just a written guarantee. Unsecured Bond. In this case the accused gives the court a written guarantee that he will furnish the bail amount in case he does not appear for the trial hearings. There is no amount paid upfront as bond here. Surety Bond. In this case, the bail amount is posted by the bail bond company after an agreement is reached between the accused and the company. Here the liability of ensuring that the accused attends the hearings lies with the bond company and they charge a service fee and a collateral for the bond amount from the accused. Cash Bond. Here the bail amount is paid in cash, through check or through credit card either by the accused himself or by someone on behalf of the accused and this amount is paid directly to the court. Secured Bond. Also called the property bend, this bail bond is paid in terms of property which is generally of twice the value of the bail bond. The court collects the property papers and can foreclose the property in case the offender fails to appear for the trial hearings. The property could belong to the accused or to someone acting on his behalf. Federal Bond. Such type is issued in case the crime is of federal nature. Here the surety of an insurance company is a must and the insurance company charges a higher processing fee as compared to a bail bond company. Immigration Bond. In special cases, where an individual is detained by the immigration department, such bonds are posted. This is a special type of federal bond and therefore follows the procedure of federal bonds too. The bail bond process varies according to the severity of the crime and it is best to take aid from an attorney who can give advice keeping various factors in view. At Detroit Bail Bond, we hope you never find yourself or someone you care about in need of a bail bond company, but want to help make the process as quick and easy if you do. To contact us call (855) 313-BAIL (2245) or visit our website. We are available 24 hours a day, 7 days a week. This entry was posted on Wednesday, October 21st, 2015 at 3:23 pm and is filed under Bail Bond Process. You can follow any responses to this entry through the RSS 2.0 feed. You can leave a response, or trackback from your own site. 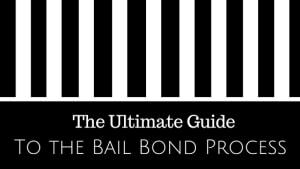 Great in-depth overview of bail bonds. It’s important that people understand how it works in case a loved one or they themselves are arrested. This is correct. There are many varitaions from county to county on how a Bail Bonds is determined. A judge uses their discretion and it will vary from case to case. A bond is given so that a defendant may be released to obtain an attorney and build an adequete defense for their case. In most cases, everyone is eligable for bond, but in some situations, a bond is not issued.